Just ticked over the 5000 page mark today. Quite a few of the 5000 are minor pages, and redirects, but it adds up to quite a lot of useful content all the same. Quite a few milestones this month, with the number one milestone being the site's 5th birthday on October 13. We also just cracked the 20,000 site visitors per month barrier this month, and we are up to 923,000 page views since the site was created. There are now 762 site members and 161 content contributors. 13 more people joined the site in May bringing the total to 390. The site was visited 11,333 times, which is a new record, and hopefully means more people are finding useful information here. There were 3,109 site visitors last week, which is a new record. According to Google Analytics, since the site was set up their has been. The total number of site visitors was down slightly from March (probably because of the Easter holidays), but page views were up again with a site record 21,368 pages being viewed over the month. Just updated the front page. We have just updated the site's front page, and are interested to hear what people think about the new look. A further 96 pages were added to the site bringing the total number of pages to 3472. Also special thanks this month to Danielle Danielsson who has volunteered to be a site administrator and has been busily adding site content, and firing up the forum. The Local Government & Municipal Knowledge Base is a big believer in Free & Open Source Software (FOSS), so it great to hear there is some action happening in South Australia on the FOSS front. Geospatial ICT Solutions is working with City of Holdfast Bay and the Eastern Regional Alliance on a suite of FOSS products for local government. It is early stages yet, but if successful it could be a really big deal for Local Government in the medium term. An Open Source Local Government Software Suite is by-the-way sitting in the No.1 spot for ideas to make local government better, so there should be a fair bit of support for the project around the country. Part of the project is AMOS - an Open Source Asset Management System. I believe that the AMOS developers will being keeping an eye on the AMS requirements section of the LGAM Asset Management System page, as they are building the system, so if you have any ideas about what functionality an Asset Management System should have please let us know, or edit the page yourself. The site was visited 9,645 times in February and 18,479 pages were viewed. A further 87 pages were added to the site bringing the total number of pages to 3376. Click here for more detailed site statistics. We recently sent out an Asset Management Update to Councils via e-mail. This resulted in a record number of site visits (2613) & page views (5915) last week, and will hopefully translate into a few more people using & contributing to the site on a regular basis. Three more ideas were added to the ideas page. If you like them, vote them up. If you have any other page suggestions, please let us know. The Office of the Australian Information Commissioner has recently released an issues paper for comment, with a view to developing an Australian Government Information Policy. The draft principles align very nicely with some of what this site is trying to achieve and are well worth a read. Comments on the draft principles can be made via the OAIC Blog. LGAM pages are now the top Google search result for 30+ local government related terms. This is great for the site, and a great example of how powerful free & open information sharing can be. It also shows that information hidden away behind a paywall or in a members only area is a lot harder to find than information placed in a public website. 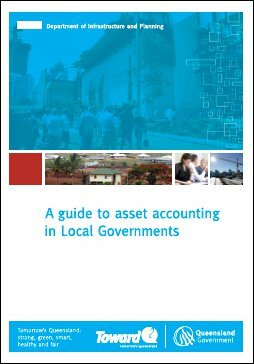 And it means when Local Government people search for information about subjects like Asset Management Plans or Gravel Resheeting or Kerb & Channel they are probably going to find it here rather than in a book or manual. Hopefully other organisations with information of value to Local Government take note, and start making their information more freely available too. The graph below shows how the number of visits via search has increased over time. A page has been created to share information about the 2010-2011 Floods. Please feel free to add to or edit the page. 8 more people joined the site in December bringing the total to 313. According to the 2010 Google Analytics Report the site was visited 51,422 times in 2010 & 123,949 pages were viewed. This compares to 12,619 visits & 80,210 page views in 2009. The site now has exactly 300 members, which makes it one of the most popular Wikidot wikis. On the other hand this number still only equates to just over 0.5 members per Australian Council, so there is still a lot of potential for growth. Whatever happens we a going to continue to try and make it one of the very best free resources for Local Government in Australia & around the world. Now they have a built in URL shortener that generates links that look a bit more like this. What's the big deal? It means the code for linking to Google Maps looks a whole lot less scarier. but now we can (hopefully) do it with out making the page code too complicated for novice users to use. One of the more frequent contributors to this site Darron Passlow has started up a new site dedicated to Council Innovation. It is a work in progress, but if you are interested in innovation it could be worth a visit. And whilst on the subject of innovation, a new "Ideas" page has been added to this site. If you have any ideas for improving local government, or if you would like to vote on the ideas already listed, please do so. This site has had a twitter account since April 2009, but if you are currently following it you won't have received many updates so far. That is about to change. Wikidot has just turned on some new functionality that allows new page notifications to be posted to Twitter. If you want to stay up-to-date via twitter, our account name is "LGAM". This site is a big believer in the free dissemination of information. Free information is definitely out there, but it is not always easy to find. If you use or know of a good free local government related reference document, and where to download it please let us know by commenting on this post (click on "comments" below then "reply" at the bottom right of page) and we will add a link to it ASAP. Below are links to the few documents already listed on the recently created Free Reference Documents page. The September Google Analytics Report has been uploaded to the site. It shows that the site had more visitors than ever last month, but that the total page views were down a bit from August. 86 photos registered in the photo library, and a heap more still to come. The home page has been modified slightly. The Image of the Day has been replaced by an Image of the Moment which changes every few minutes. The image of the moment will showcase the photos in the photo library. The LGAM Photo Library is starting to come along nicely, following contributions from the following Councils and organisations. Just finished putting together a Newsletter. I am intending to send it to every Australian Council over the next month or so. I hope it will help persuade a few CEOs of the site's potential, and convince them to encourage their staff to use and contribute to the site. If all goes well, I would like to send out a new newsletter every six months. Any feedback about the newsletter, or future content suggestions would be greatly appreciated. The LGAM Glossary now contains over 550 definitions, and is growing rapidly. For anyone who wants to be able to use the glossary whilst offline, updated versions in a number of formats are now available. An LGAM User Survey page has just been added to the site. If you have 5 minutes to spare, and you would be willing to participate, it would be greatly appreciated. 13 new members joined the site in May, bringing the total to 232. As of 31 May, 17,372 different people have visited the site on a total of 25,911 occasions and viewed 129,579 pages. As the Google Analytics graph below shows, the number of people visiting the site has increased considerably over the past few months. A study into Mobile & Flexible working in local government agencies is underway. Participating local councils will receive a complimentary benchmarking/research report (due late June 2010). An Italian inventor has recently sucessfully tested the prototype of a machine that may eventually have a huge impact on a number of Council functions. The machine is 3D sandstone/marble printer nown as the D-shape. It has the ability to automatically build large monolithic sandstone and marble structures from a CAD drawing. According to the D-Shape Website its Civil Engineering applications include: Bridge portions, road portions, tube sections, pillars portions, stone floating, harbor sections, marina furnishing, variable section beams and columns, Water depuration, insulation plates. It is easy to imagine in 10 or 20 years time, that Councils will be receiving applications from people wanting to build dwellings and commercial premises using this technology, and perhaps even Council having a D-Shape truck in their fleet that is used for any number of construction jobs. Have a look at the site. The future is almost here!! The Australian Centre of Excellence for Local Government is currently in the process of setting up the Local Government Knowledge Exchange Network a Ning based social network for local government employees, and is looking for a few beta testers for the site. A Local Government Calendar has been added to the site and can be accessed from the side menu. If you have a local government related event that you would like to let people know about, please feel free to add it to the page. 7 new members joined the site in February, bringing the total to 201. The site now contains 2400+ pages of information, and as of 28 February, 9,589 different people have visited on a total of 16,701 occasions and viewed 104,604 pages. As the graph below indicates, the number of unique visitors each week has been growing steadily since Christmas, and last week 300+ people visited the site. There are a few new site features planned in the near future so stay tuned. 17 new members joined the site in January, bringing the total to 194. The site now contains 2333 pages of information, and as of 31 January, 8,626 different people have visited the site on a total of 15,244 occasions and viewed 98,284 pages. A new link (Photo Library) has been added to the side menu, and a dozen or so images of typical council assets have been uploaded to the site. 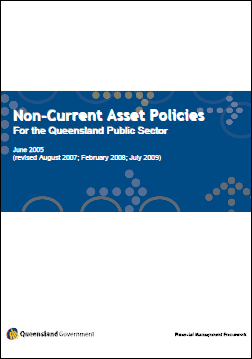 Darron Passlow, one of the more frequent contributors to this site has suggested here and in other forums that a Visual Library for Asset Condition Rating would be a very useful tool for local government. The idea of the library is to build up a collection of photos of assets in various conditions that could be used to develop a series of condition assessment guidelines similar to the Corowa Shire Council Sealed Roads Condition Inspection Booklet, but for all asset types for which a visual inspection can be used to determine asset condition. Preparing condition inspection guidelines is not a simple task, and a bit of thought will need to go into how the project is set up, BUT taking photos is pretty easy, and there are many other uses for photos of Council assets & activities. The Local Government & Municipal Knowledge Base is all about Councils sharing information & encouraging the creation of an Australian Municipal Photo Library is the sort of thing that we as a group should be doing. A new link has been added to the side menu titled "Photo Library". If you have any photos that you would like to contribute to the project please visit the page & start uploading. Determining accurate or even realistic unit rates seems to be a big issue for local government. I know for a fact it's an issue for both Bundaberg Regional Council, and for some of our neighbours, and I have seen a number of discussion about it on various other forums. I know it is true that the cost of an activity will vary considerably from location to location, but all-the-same I think an open database of typical unit rates for those works regularly undertaken by Councils would be a very useful resource for many Councils. I have been thinking about this for a while now, and I think I have come up with a good way of getting the project happening. If you are interested, please check out the Unit Rate page, for more information. The front page of the site has been changed a bit to make it look a bit more colourful & interesting. If you have any suggestions about how to improve it further, please let us know by commenting on this post. I thought a map showing where the contributors to this site come from might be of interest, I haven't quite finished plotting everyone's location just yet, but it is starting to take shape. I have just created a new page about Open Collaborative Design, which is a concept I believe could radically change the way Local Government functions, and make it incredibly more efficient. Please read the AdCiv.org AdCiv.org article referenced at the bottom of the page. It eloquently sums up a lot of the things that made me want to create this site. It is the end of September and the site's first birthday is only 13 days away (13 October). There are now over 1950 pages on the site, and the 150th member signed up a couple of days ago. Last week saw the greatest number of people visit the site (696) since I started using Google Analytics in November last year. Hopefully the number of people using the site will continue to grow in the next 12 months. a Tutorial on how to get the most out of the site. Bundypedia a separate site created to show how Wikidot can be used to set up an Council Extranet or Community website. I've been thinking about ways of making it easier for people to make contributions to the site. I imagine there are a few people who would like to contribute, but aren't too sure where to start, so I thought a Tutorial page might be a good idea. It is still in its infancy, but the page is here if you would like to have a look. Any suggestions about what to include in the tutorial would be greatly appreciated. A big SORRY to everyone who tried to access the site yesterday, and got an eror message instead of the page they were looking for. The wikidot servers were playing uo all day and down completely for a few hours over night. I'd like to assure you all that the problems are a rarity and the site is up and running perfectly well more than 99% of the time. Click here for more information about the problems. BUT, as of yesterday, we are not alone. Munigov an online community for US Local Government employees has just set up a wiki aimed at "allowing local governments to pool their knowledge in an effort to collaborate and share ideas, practices, policies, standards, and experiences". Those stated aims are very similar to ours. I am hopeful that the Munigov Local Government Wiki will become a very good resource for local governments in the USA and around the world. I'll be supporting it as much as I can and I am hopeful that both sites will be able to learn from each other and prosper into the future. It has now been nine months since the Local Government & Municipal Knowledge Base was set up. There are now 1600 pages of information and 131 site members. * Support collaboration between councils on a regional basis for service delivery and planning. The Australian Federal Government has announced $8 million in funding for the new Australian Centre of Excellence for Local Government. With a bit of luck the consortium behind the centre will be in favour of free & open knowledge sharing between Councils. The Australian Federal Government has just announced the formation of a new body called the "Government 2.0 Taskforce". One of the objectives of the Taskforce is to "promote collaboration across agencies with respect to online and information initiatives — to ensure that efficiencies, innovations, knowledge and enthusiasm are shared on a platform of open standards." It will be interesting to see if the taskforce has an interest in projects like this one that promote cooperation between Councils. The site now contains over 1500 pages of information. Not bad considering it is still only 8 months old. The number of new members joining the site has dropped off a bit in the last few months, but the current tally is up to 127 never-the-less. The lasted major addition to the site is the Waste Management section. Only a few Waste Management pages so far. but stay tuned for more. I've changed the way that the site handles news updates. The two most recently created threads in the "News" category of the forum will automatically appear on the site's home page. Also you can now subscribe to the news feed via RSS.